Since its beginnings in the early 1800s, aviation has evolved a great deal in Canada. In fact, Saint John played a significant role in the growth of Canada’s aviation heritage. Canada’s first manned balloon aircraft flight took place in Saint John in 1840. As manned flight continued to grow, Saint John remained at the forefront. New Brunswick’s first airplane flight also happened in Saint John in 1912. As the industry began to change and grow, the innovation from the Greater Saint John area continued – with the inventor of the electric variable pitch propeller, the late W. Rupert Turnbull, hailing from Rothesay, and the founder of Canada’s largest aircraft flight simulator company, the late Wing Commander (ret’d) Ken Patrick, from Saint John. It is because of this connection to the aviation community that the Turnbull (NB) Chapter of the Canadian Aviation Historical Society established The Turnbull (NB) Chapter of the Canadian Aviation Historical Society Fund with The Community Foundation. The Turnbull Chapter plans to use monies raised from this Fund for its own educational awards. In 2013, the Turnbull (NB) Chapter created the Wade-Myles Bursary. 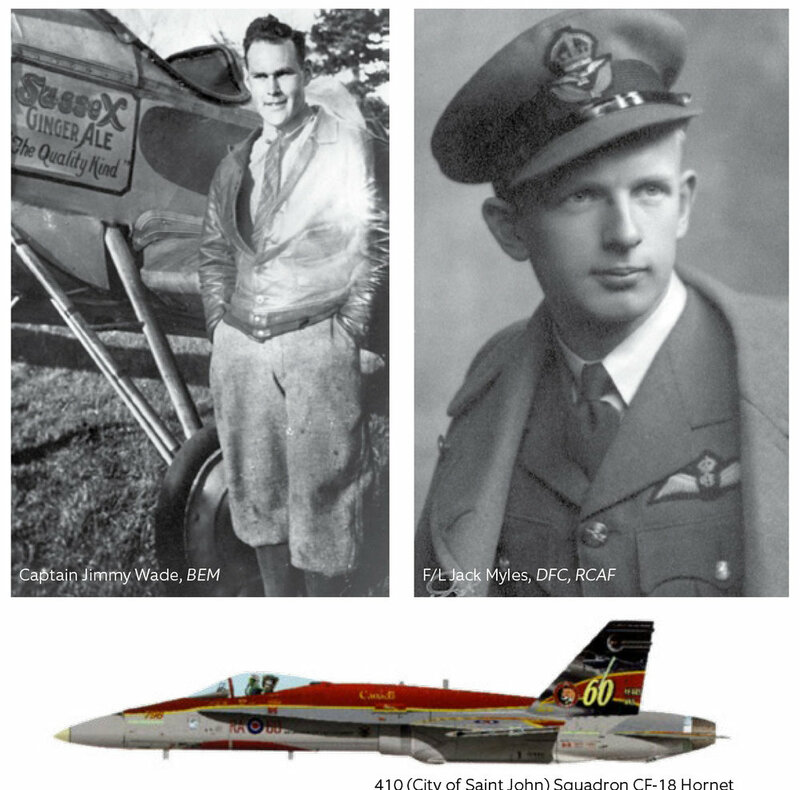 Named for two prominent members of the Saint John aviation community; Captain Jimmy Wade, BEM (British Empire Medal) and Flight Lieutenant Jack Myles, DFC (Distinguished Flying Cross). As the Fund grows, the Turnbull (NB) Chapter will give other awards; one for former students of the M. Gerald Teed Memorial School as well as an award named for the late Don McClure. McClure served with the Royal Canadian Air Force during the Second World War, and later operated the Moncton Flying Club. He was one of the founders of the Turnbull (NB) Chapter and a long-time advocate for the Royal Canadian Air Cadet movement in New Brunswick. The Fund has been established by the members and supporters of the Turnbull (NB) Chapter, and will support the educational work of the Chapter, as well as interest in the aviation industry in Greater Saint John, and throughout New Brunswick, for years to come.